You can create summary reports in Checkbox one of three ways – by using the Quick Report feature, by creating a semi-custom report with the Report Wizard, or by creating a fully Custom Report from scratch. 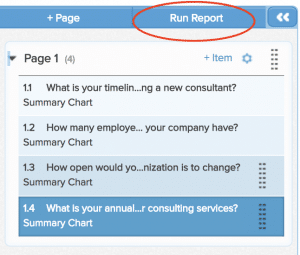 This guide focuses on the Quick Report feature – the fastest way to run a summary report. 1. 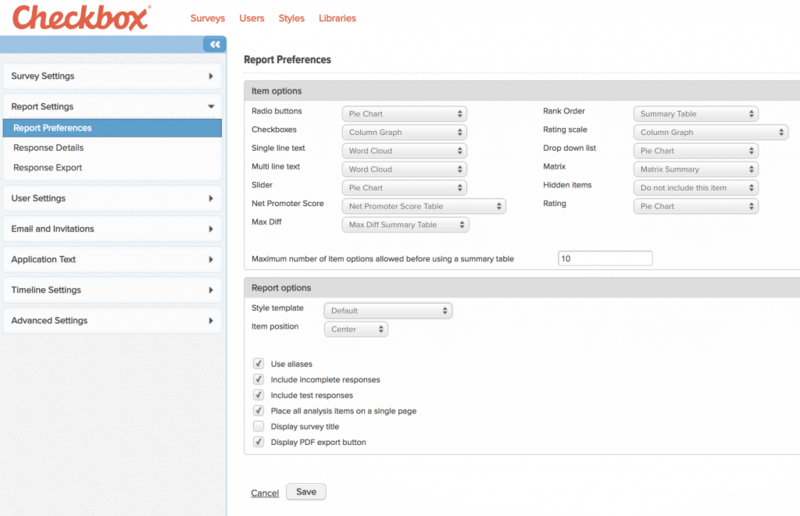 The Quick Report uses your default report settings to generate a one-click report. This is the fastest way to create and run a summary report in Checkbox. Only System Admins have access to the default settings. Note that changing the default settings will change them for everyone in your account. Click your username and then System Settings. 2. Under Report Settings -> Report Preferences, set your default report options. You can choose the default graph/chart type for each question type, the default style template, and additional options such as including incomplete responses, placing charts all on one page, etc. 1. From either the survey dashboard or the survey editor, click Analyze -> Reports -> Quick Report. This will generate your report using your report default settings. If you’re happy with the report, you’re all set and are ready to share your report. If you’d like to make edits, continue on to the next step, Editing Your Report. 1. Once you create and run your Quick Report, you may decide that it doesn’t look exactly the way you want. Don’t worry, you can still make edits or add additional charts or messages to it once it’s created. 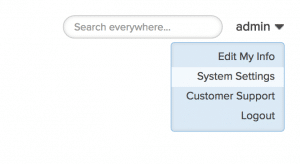 From the survey dashboard or survey editor, click Analyze -> Reports -> Manage Reports to bring up the list of reports for your survey. 2. Find your report in the list and click Edit. 3. The Report Editor layout is similar to the Survey Editor layout. Pages and items are listed on the left side of the window. Add items and pages using the +Page and +Item buttons. 4. Items are previewed and edited on the right side of the window using the editor tabs. Most of your display options will be found on the Behavior and Appearance tabs for each chart item. 5. Select the Run Report button to open a live report in a new browser tab/window.